You are here: Home / Update Your Facility Today With Pumptracks, Bike Lockers and Kayak Lockers. / Sk8parks Pumptrack From PlayPower Canada! 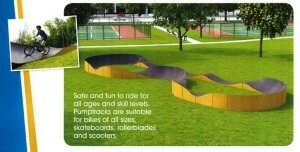 Sk8parks Pumptrack From PlayPower Canada!